Product prices and availability are accurate as of 2019-04-22 06:16:08 EDT and are subject to change. Any price and availability information displayed on http://www.amazon.com/ at the time of purchase will apply to the purchase of this product. 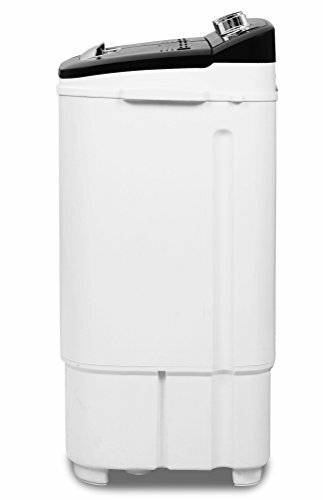 The TG23 Portable Washing Machine from ThinkGizmos is perfect for anyone who needs a Washing Machine but may not have the space for a full-sized machine. 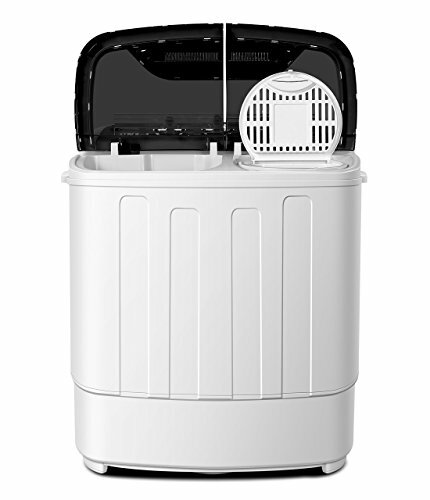 The twin tub washing machine features both a washing tub and a spin tub with a wash capacity of 3.6kg and a spin capacity of 2kg. Each tub has its own separate timers and the wash tub has different wash modes. The durable, compact and lightweight design weighing only 11KG means any campers or caravan owners will find this perfect for longer trips where clothes would need to be cleaned. All that is required is access to a power supply, water, detergent and a drainage area. Its simplicity of use means you will have clean clothes in no time at all. All you have to do is fill the wash tub with water and detergent, add cloths and wash for required time then transfer to the spin tub to spin and rinse. Included in the box are the washing machine, water fill hose, Drainage Tube and fully translated manual (languages included English, German, French, Italian and Spanish). The TG3 Portable Washing Machine is a 'ThinkGizmos' branded product which is a registered trademark in the USA & Europe. Latest portable washing machine with spin dryer. 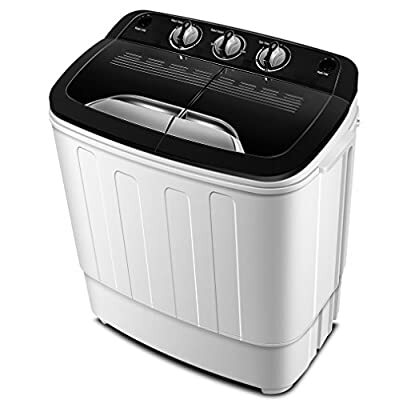 The strong and durable Portable Washing Machines features two tubs 1 for washing and 1 for spinning. It has a capacity of 3.6kg wash and 2kg spin. Its compact and lightweight design makes this ideal for places where space is limited such as for camping or in a caravan. It does not require plumbing and only requires access to water and a drain area. The wash cycle can run up to 15 minutes on either a soft or normal wash and the spin cycle can run up to 5 minutes which means the clothes can be washed for the time required. Simple to use simply add clothes, water and detergent and set the machine to wash. Once done give it a spin to try out and rinse through. Everything needed for the machine to work is included (except water and detergent). Includes in the box is the Washing Machine, Water Fill Hose and fully translated manual (Languages: English, French, German, Italian and Spanish).